Moving out can often be a stressful experience for the tenants. We know that the main reason for feeling stressed out is that getting your full deposit back depends on the condition of the accommodation you are vacating. This means that there is always a need of a more thorough cleaning and this requires a lot of time and efforts. If you are also facing the problem of having way too much things to do before you move out and you don’t have the time for the cleaning tasks, you can rely on our end of tenancy cleaning service to help you with that issue. We are a Islington based cleaning company which have been specializing in this field for many years and we are sure that we can provide the results which can guarantee you your full deposit back. Give us a chance and we will take on this uneasy chore and we will give you the free time that you need to finish everything on time. Great end of tenancy cleaning service, as I expected. Since a friend of mine recommended it to me, I knew it would be done to a high standard. The price was also very budget-friendly which was only an added benefit to the otherwise fantastic service. I highly recommend it. Our company can promise you that no matter how reasonable our prices are, we do not compromise with the quality of our work. You can always be sure that no matter how big of a mess the place that we clean is, after we are finished with our cleaning session, the accommodation will look spotless and very appealing. 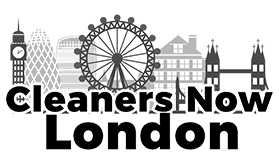 The reason for our excellent service is that we use the best cleaning tools and solutions in Islington. Since we always work hard to provide our customers with the best end of tenancy cleaning, we do our best to satisfy every need of our customers. This is why we offer our service seven days a week, so that our customers can contact us any time when they need our help. Give us a chance and we will prove you that we offer the best cleaning services in Islington. Don’t miss the opportunity to complete your tenancy agreement and get your full deposit back without even lifting a finger. 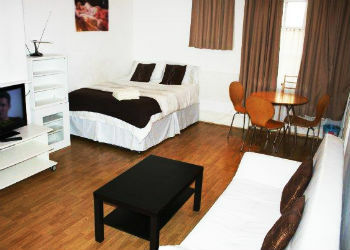 We guarantee for the quality of our end of tenancy cleaning service. Islington is a classy and dazzling area in Greater London. Its population represents a mix of city workers, young professionals and university students, hanging out in the local cafes and bars. The place is very well connected with the rest of London. There are ten tube stations, plus, the Eurostar Terminal is situated on its border. From here one can get also to France and Belgium. There is always what to do in this highly desirable area. The Upper Street offers a wide range of restaurants and bars. It is worth to mention The Proud Archivist – an art gallery located on the Regent’s canal with excellent food and stunning views. When it comes to things to do in Islington, here is situated one of the best vintage markets in London. On Camden Passage, tourists can see an impressive range of antique furniture and retro clothes. Freightliner’s Farm is a must-see for all animal lovers. There you can see different types of birds, goats and guinea pigs.